Cardiopulmonary resuscitation (CPR) is a lifesaving technique useful in many emergencies, including a heart attack or near drowning, in which someone's breathing or heartbeat has stopped. The American Heart Association recommends that everyone — untrained bystanders and medical personnel alike — begin CPR with chest compressions. Seconds count, and a well trained individual onsite of an emergency can make an incredible difference in someone's life. Our team of experienced EMS volunteers are available to train individuals or groups. Each year in February we celebrate the students of Cloverleaf Elementary School whose themed fire safety posters are selected (anonymously) by the members of WFRD. Of the 12 student posters selected in the first round of member voting, the Department members further select 2 posters to send to the State Fire Marshal to compete for a place in the State Fire Safety Calendar. Our student’s posters have been selected for the State calendar several times!! The volunteers of WFRD hold an Open House each Spring just before school’s out for the summer. Flyers are sent home with every student attending our Cloverleaf Elementary School, whether or not they live in our service area. At the event, the students and family members are able to use a real fire hose, learn how to operate a fire extinguisher to put out a burner ‘fire’, tour our rescue squads and fire trucks, talk with local law enforcement and snack on hot dogs and cookies. The feature attraction at the Open House is the fire safety magician that comes to our event from Columbus (who is also a Professional Firefighter) to teach our kids fire safety through comedy and repetition. 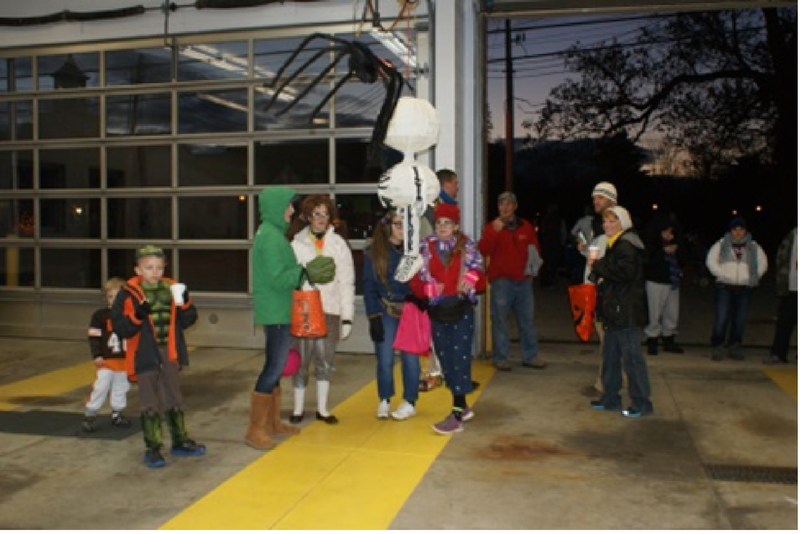 The fire station is the gathering location just prior to and during Trick or Treat each year. The kids of the Township and Village arrive at the fire station and wind through a straw bale path where the Chief hands each of them a silver half dollar. Some local residents are there handing out treats, as well. A fireman sounds the fire truck’s air horn to announce Trick or Treat has begun. The horn is sounded a second time at the end of the evening. During Trick or Treat, Department members drive around the Village in the rescue squads to help make sure the evening goes smoothly. Other members remain at the station and welcome parents and kids with donuts, cider and hot coffee. 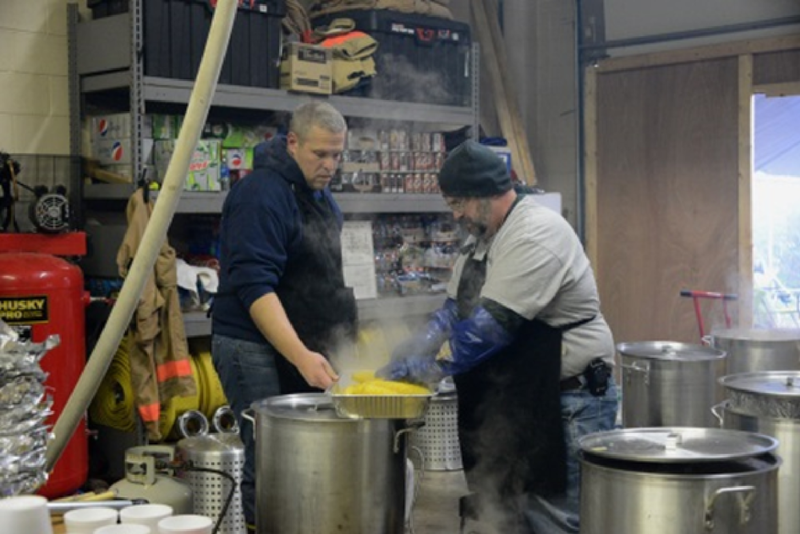 Each October, Westfield Fire Association hosts their annual fundraiser. All members are hands on deck to prepare and serve about 400 meals! 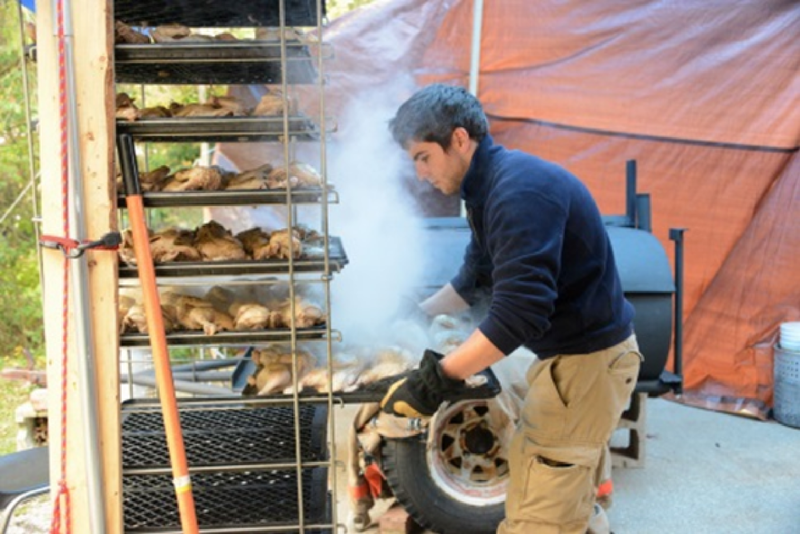 The meals include a ½ chicken, either a dozen clams or an 8 oz. strip steak, sweet potato, ear of corn, cole slaw and a roll and butter. Patrons can choose to eat in the ‘Front Truck Bay Dining Room’ or take their meal to go. At the end of the evening, the Department shares a meal together then tackles the arduous task of clean up. The money raised from this even is used to purchase additional equipment needed by the firefighters and EMTs. 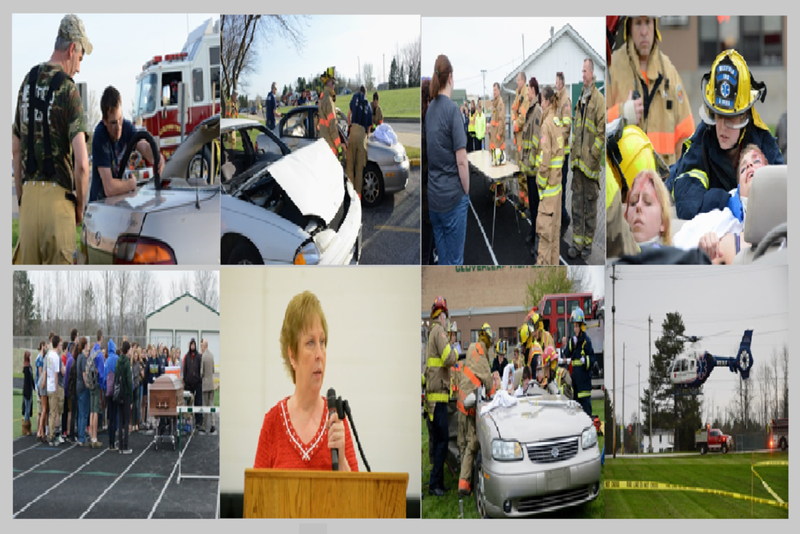 In 2012, WFRD began partnering with Cloverleaf Local Schools, as well as local law enforcement, medical professionals, Waite and Sons Funeral Homes and neighboring Fire Departments to stage a mock disaster centered on the Prom Promise theme. The Fire Departments simulate an auto accident that occurs on the way to Prom. The simulation depicts an intoxicated driver that causes the accident which results in fatalities and injured students. Law enforcement arrives at the scene and puts the intoxicated driver through sobriety tests. When he fails, he is hand cuffed and taken away in the police vehicle. Meanwhile, the Fire and Rescue teams are extricating the other injured students and covering the deceased. A life flight helicopter arrives at the scene to transport the most seriously injured. The high school Juniors and Seniors are then escorted to the stadium where they will hear from Fire Departments on how these types of accidents affect them, medical professionals who treat those taken to hospitals where all dignity is lost, a funeral home who talks about working with their parents to plan their funeral instead of planning their college visits, a permanently disabled young person changed forever because of driving while intoxicated, a judge who describes the punishment and jail time the intoxicated driver faces and finally a mom (and Cloverleaf employee) who lost her son to drunk driving the morning of prom several years ago. This event is presented every other year so that every Cloverleaf High School Junior and Senior will be involved in the event at some point. On the first Saturday of December the Department holds a Breakfast with Santa (and Mrs. Claus) opportunity. For a non-minimal cost (as it’s a break even event) kids, their parents, grandparents and other family members can eat pancakes, scrambled eggs and sausage, with milk, juice and coffee available. The kids can make a Christmas craft and get a face painting then visit with Santa. The Department takes photos of all the kids on Santa and Mrs. Claus’ laps and posts them on their Shutterfly page allowing family and friends to view them or print them. In addition, the families can take Christmas photos of their own.